Where can I find machine readable transcribed text of the 2016 Presidential speeches and debates? I'm looking for a machine-readable repository of transcribed Presidential debates and speeches from the 2016 general election. 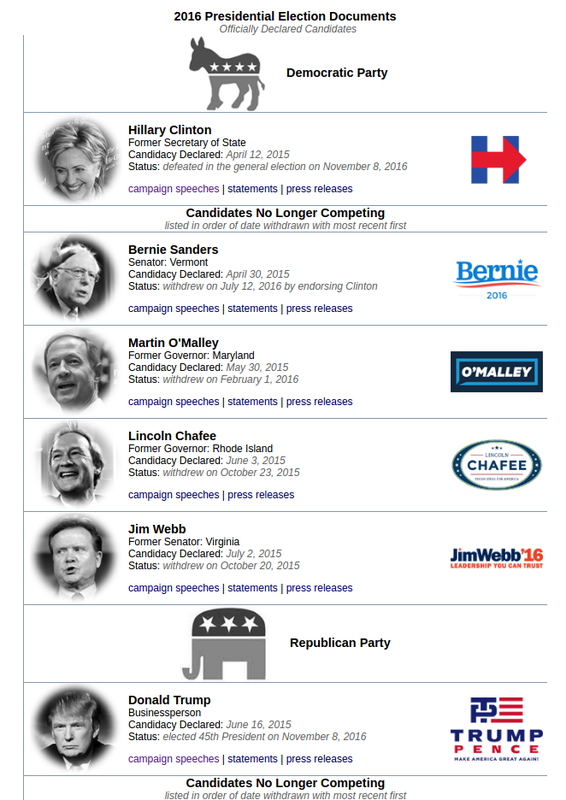 Structured data with a common format is desirable, as well as updates for the remaining speeches before the election. Text from the debates available as well. campaign speeches given by Hillary Clinton and Donald Trump during the 2016 presidential campaign. [and] the text of the three presidential debates, separated by speaker, in the presidential-debates folder. The repo owner will add speeches as the occur. Not the answer you're looking for? Browse other questions tagged data-request usa government nlp politics or ask your own question. Where can I find data on the winner of the presidential popular vote by U.S. county, for as many elections as possible? Where is voter data from the recent General Election?